The Bjørg Pauline, once the world's biggest wellboat by volume, has changed owners. 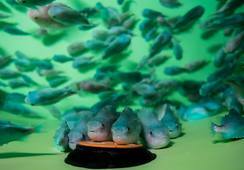 Photo: Marius Fiskum, Norwegian Seafood Council. 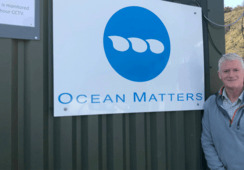 Intership, which operates five wellboats in Norway, Scotland and Canada including the Inter Caledonia used by Marine Harvest Scotland, has added to its fleet. Another of Intership's vessels, the Inter caledonia, is on long-term charter to MH Scotland. 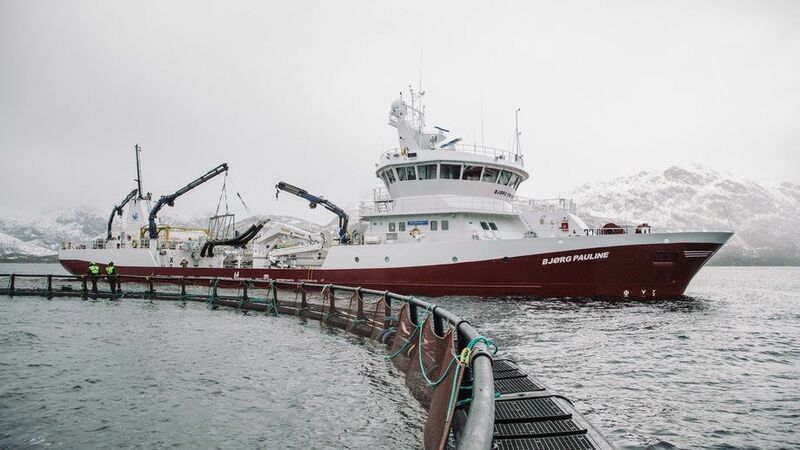 The Ålesund-based company has bought the wellboat Bjørg Pauline from Norwegian salmon and trout farmer Nordlaks, which has immediately taken the vessel back on contract hire. The deal releases capital for Nordlaks to use for other investment projects. All crew members have been offered the opportunity to transfer to the new company. Nordlaks said safeguarding the crew’s rights has been central in the process. 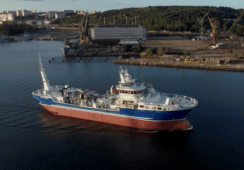 “We have had a very skilled crew on board Bjørg Pauline and we are pleased that the transfer does not lead to insecurity for our colleagues even if the boat changes ownership,” said Nordlaks Group deputy chief executive Roger Mosand. “It is also good news for Nordlaks, since the boat and crew are chartered back and will be in service for us as before. This ensures continuity and we can be confident that the service will maintain the same high quality as before. The Bjørg Pauline was delivered to Nordlaks in 2010, and was at the time the world’s largest wellboat, based on cargo volume. Since then the vessel has been used for the transportation of smolt, transportation during the farming phase and harvest of fish. “Bjørg Pauline is still a state-of-the-art wellboat. 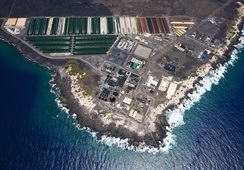 It is a good workplace and has the capacity and equipment necessary for the safety of the crew, and to take care of fish welfare and bio-safety. 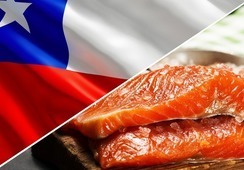 Nordlaks is in a significant investment phase and the wellboat is sold to release capital for other investment projects,” added Mosand. The acquisition of Bjørg Pauline and the charter back to Nordlaks means Intership now operates two wellboats in Norway. In addition, the company will operate Lady Anne Marie for Hofseth Aqua, which is due for delivery from shipyard in October. “The acquisition of Bjørg Pauline and the charter agreement with Nordlaks is of great importance to us. Today, we have our main activity internationally, but we have a clear ambition to take a significant position in Norway as well, and Nordlaks will thus be an important customer for us,” said Intership managing director Ole Peter Brandal. 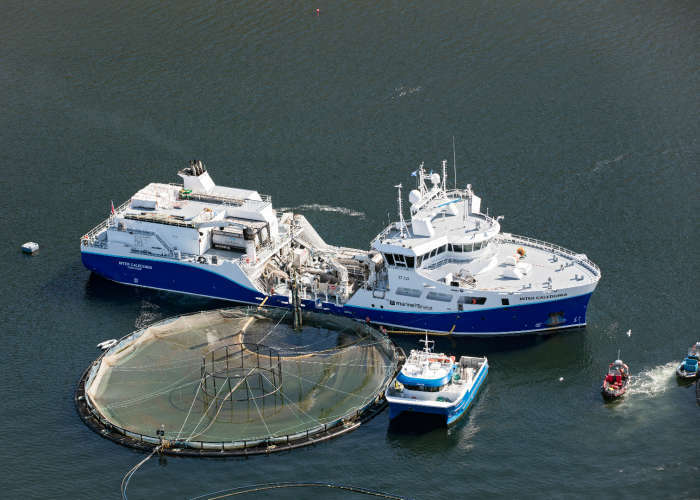 As well as the Inter Caledonia in Scotland, Intership’s fleet includes two vessels, the M/V Viktoria Viking and M/V Roy Kristian, on charter to Marine Harvest Canada, and the M/V Christine on charter with Grieg Seafood Norway. It operates another vessel, the M/V Dønnalaks, in Norway.